Nevada Landlord Tenant Laws govern the rights and responsibilities of all parties to a landlord tenant agreement for residential properties in the State of Nevada. The “Nevada Revised Statutes (NRS) Chapter 118A – Landlord and Tenant: Dwellings” also provides for remedies to the aggrieved party should one of the parties violate Nevada Landlord Tenant Laws. NRS 118A.180 (1) specifically states that “Except as otherwise provided in subsection 2, this chapter applies to, regulates and determines rights, obligations and remedies under a rental agreement, wherever made, for a dwelling unit or premises located within this State.” Exceptions to NRS 118A may include manufactured homes, low rent housing operated by public housing authorities as well as residency in an institution, or in a hotel or motel where residency is less than 30 days. This information is not a substitute for legal advice. Should you have questions regarding Nevada Landlord Tenant Laws or if you believe you have a case under NRS 118A, you should seek the advice of a qualified attorney. Stay up to date on Nevada Landlord Tenant Laws + Save money on tenant screening and other property management needs. Join AAOA today, it’s FREE! Make sure that you comply with Nevada Landlord Tenant Laws regarding security deposits by ordering professionally prepared rental deposit forms and disposition of security deposit when you order your Nevada Landlord Forms. NRS 118A.330 requires that tenants grant landlords reasonable access to the premises to make repairs, supply necessary services and to inspect the premises. However, landlords must not enter the premises without consent of the tenant except in an emergency and landlords cannot abuse the right of access or harass tenants. NRS 118A.325 indicates that landlords are not permitted to prohibit tenants from displaying the flag of the United States within the property when it is displayed respectfully and in compliance with 4 U.S.C. Chapter 1. Nevada Landlord Tenant Laws permit a tenant to terminate the rental agreement if the tenant becomes physically or mentally disabled and requires relocation to a facility for care or treatment that cannot be provided at the rental property. In the event of domestic violence the tenant may terminate the rental agreement under NRS 118A.345 by providing legal documentation to the landlord such as copy of a protection order or a report of domestic violence from a law enforcement agency. It is imperative for landlords to conduct thorough Nevada Tenant Screening and to always have ample supply of proper landlord forms. Protect yourself from costly allegations of violation of Nevada Landlord Tenant Laws with professionally prepared Nevada Landlord Forms. A key component of landlord tenant laws is also Nevada Tenant Screening Background Checks. We’ve dedicated an entire page to it because of its importance. Visit Nevada Tenant Screening Background Checks to screen your tenant. All states require a variety of forms to rent an apartment to a tenant and Nevada is no exception. Check out American Apartment Owners Association’s Nevada Landlord Forms now. 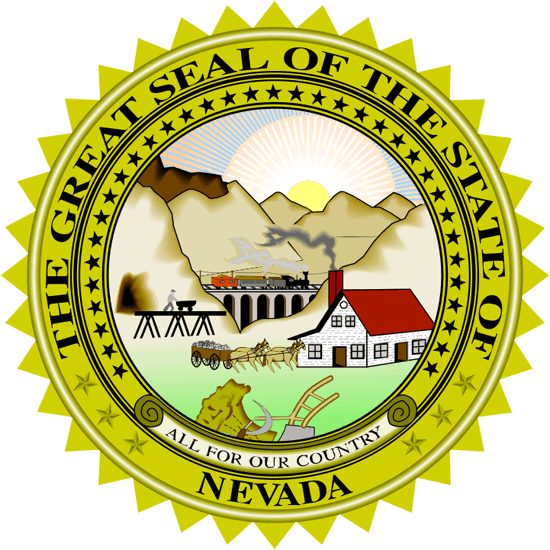 Looking for landlord tenant laws outside of Nevada? The American Apartment Owners Association offers helpful landlord tenant laws for all 50 states. Click on any of the states listed below and go directly to its landlord tenant law page. To visit the homepage of landlord tenant laws, click here.